G.Loomis Pro-Blue high performance graphite stand-up saltwater rods are not your average stand-up rods. 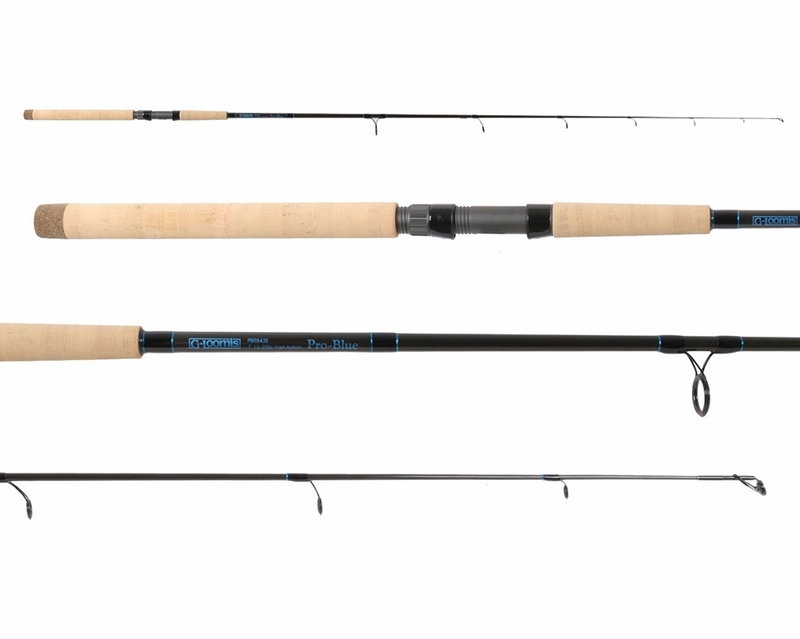 With cork handles, heavy-duty composite reel seats, Fuji guides and blanks designed with dynamic, fast-actions, these are truly specialized rods. G.Loomis Pro-Blue high performance graphite stand-up saltwater rods are not your average stand-up rods. With cork handles, heavy-duty composite reel seats, Fuji guides and blanks designed with dynamic, fast-actions, these are truly specialized rods. They're a blend of the traditional flats and bay rods that allow you to wrestle big fish without any distractions or malfunctions. You'll feel the difference. They may feel like lightweights because they are, but there's a power so intense and mystical that you'll wonder how G. Loomis did it. Their secret is your advantage. This rod feels light but has lots of power. I paired it with my Shimano Sustain and use it for everything. Good rod. Matched up with a VS 150. Loaded with 49 lb braid. Buses for throwing pogies atbcrising tarpin, sharks and big jacks. Has the flexiabikuty and backbone needed. Love the rod. The fit and finish is awesome! The real test will be in two weeks taking it out to the oil rigs. Gloomis has to be some of the best for the money! ConsWish it would come with a rod sleeve! A very nice rod that is extremely fun to catch Kings, Spanish, and Wahoo on. It casts very well and is great trolling or lure/topwater fishing. This was a good match to my Avet SX 6/4 MC. The rod is light weight with good balance. It is rated as a fast action rod yet it has decent parabolic bend that absorbs shocks of an initial hard strike and quick runs. This rod will work well for both inshore ling cod, white sea bass, striper, and halibut fishing and as an offshore jig stick for tossing live bait and jigs to schooling albacore and similar sized tunas. This is a tremendous fishing rod. Light, powerful and very well built. Can be used for many Northeast species and can handle fish from porgies to large stripers. Great rod that provides the power you need and the sensitivity you demand! 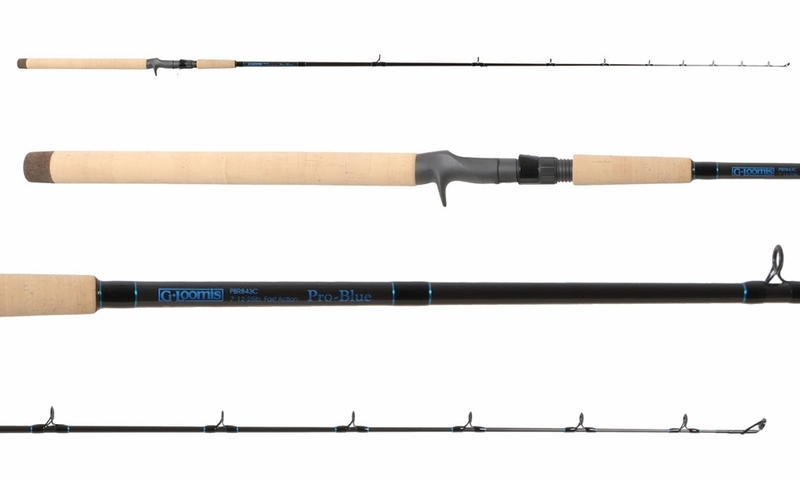 I have been using GLoomis PBR844C Pro-Blue Saltwater Series Rod for five years now, porgies, Blackfish, sea bass to striped bass, that is all I use, great Rod. Have 2 of these now and used recently during inshore Florida fishing trip. Good performance, strong backbone to get Red or Snooks out of structure and a good price break. These now have a place along with my NRX series rods. ProsPerformance and value in one package. NRX is still my favorite but find I now also use the pro-blue series. I bought this rod specifically for a bull red kayak fishing tournament. I paired it with a shimano stradic fj 4000. I was a little unsure of the combo as it was untested prior to the tournament. However, as the 30 pound braid began to scream off the reel I found out that I made a great choice. This rod and reel combo performed perfectly. The rod is sensitive yet very strong. Towards the end of the fight the fish dove under another kayakers boat and his anchor was wrapped around my line. In an effort to not lose the fish I kept line tight and pulled up a boat anchor and a 28.9 pound bull red at the same time. This rod is awesome. I'm going to buy another one before next years tournament. I would recommend for targeting big inshore fish and would be more than able to bring in cobia, Mahi, and small tuna. I love this rod! It is my favorite amongst my fishing arsenal. It is super light weight but with plenty of power. I match this rod up with a 10K Sustain or 10K Gosa and its a deadly combo for just about anything in the water. I wrapped mine up with rod wrap to protect the very nice cork material that GLoomis uses. ProsLight weight, plenty of power. Oought 40LB Bass with this rod. Line weight is 15-30LB it is no problem pull over on the boat. ProsLight and strong Rod. also love the color! is the Curado 150XG a good match to the PBR843C for MH casting ? Yes this reel will pair well with that rod. Not sure if the 843s or 844s is a better option? Looking to pair with a Gosa 6k to throw 2-4oz plugs and live line/3-way live bunker and eels for blues and stripers. Any advice is appreciated. Thanks!! 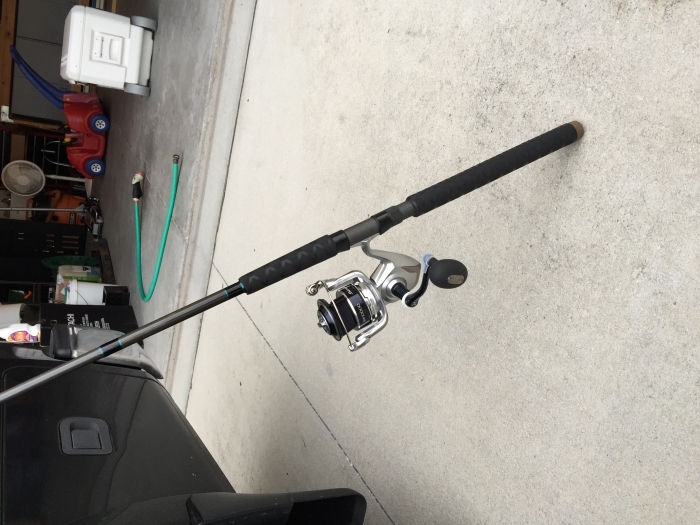 What is the braided line rating for the 843S and would this rod be good for fishing for tarpon on the pier matched up with a Penn Cla Clash 6000? The braided line rating is 50-100 lb class. 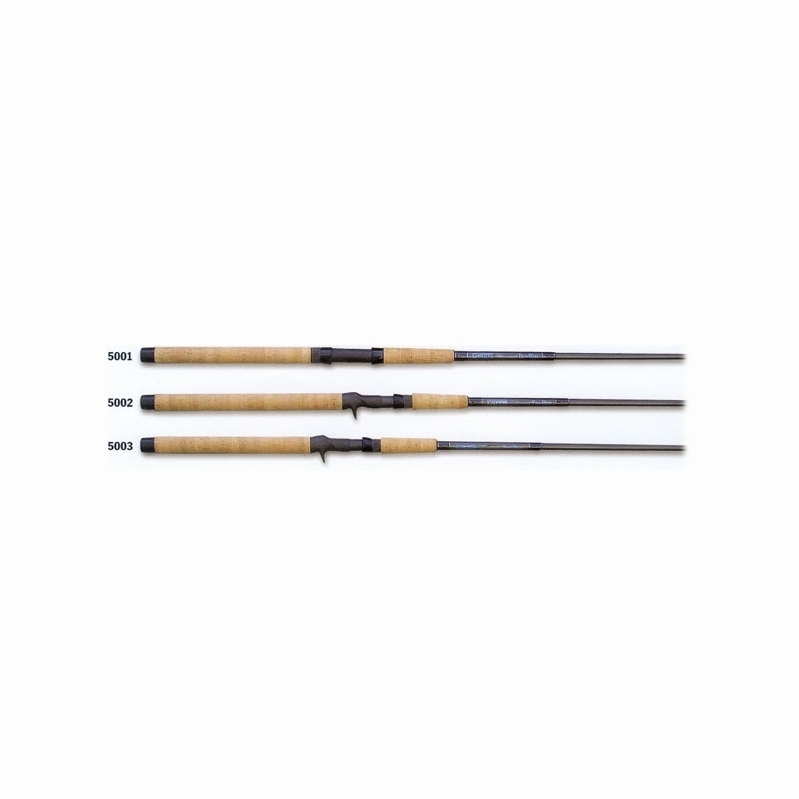 This rod would be a great to pair with the Penn Clash 6000 pier fishing for tarpon. 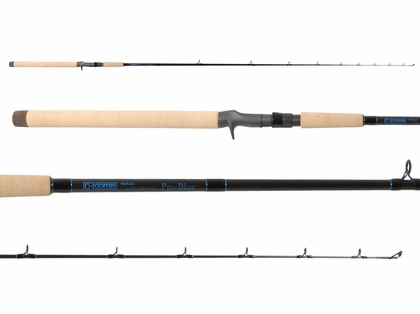 Which of the G.Loomis rods can you use for trolling a 16oz lead? I have eight or nine ok rods, but ready to start buying nice ones for myself and my next generation of fishermen to enjoy. Thank you. G Loomis really doesn't have a rod to trolling with 16 oz. Seeker makes an excellent trolling rod. The Seeker Super Seeker Stand Up Rods would be a solid option for you. These rods are a bit too light for dropping 16 ounces of lead. If you are fishing that much weight, I would recommend going with a different rod. What size reel is recommended for the 7ft 15-30 (PBR844s) spin rod? What is the best application for this rod? I would recommend using a 4000 of 5000 size reel with that rod. If I had one, I would use it for lighter bucktailing for flounder and throwing lures to striper and blues off of a kayak. Which Conventional Model would you recommend for live lining bunker and eels, some light chunking, maybe trolling a tube and worm? This would be for Blues and Stripers. Thanks! Also, what reel would you recommend for the rod? We suggest going with (GLO-0225). It will give you great sensitivity and power while still being incredibly light. As for a reel, check out the Avet SX or MXL. Does the par 844s rod have single or double foot guides? Sorry for the delay in answering your question. The Pro Blue Spinning rods are single foot guides. Sorry for the delay in answering your question. They are single foot guides. what type of guides are there in the spinning models? What is the braid line rating for the 844S rod? The rod can handle 50# braid. We don't recommend using anything heavier due to the single foot guides. what size reel is recommended for the 7ft 12-25 spin rod ? In reference to the standard sizes of a Shimano or a Penn reel, a good match for this rod would be a reel size in either the 4000 or 5000. Are these spinning rods? It is not noted. The rods with the "S" at the end of the model number are spinning those with a "C" at the end are conventionals.